Ross Turnbull endured a poor outing as Chelsea slumped to a 3-1 Friendly match defeat against Ajax. Chelsea goalkeeper Ross Turnbull endured a poor outing as his side slumped to a 3-1 Friendly match defeat against Ajax in Amsterdam. 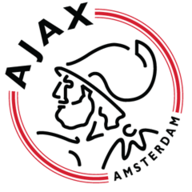 An under-strength Blues took on Ajax, who have been boosted by manager Martin Jol's decision not to leave for Fulham. 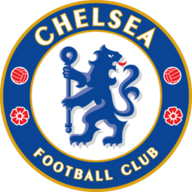 The Dutch club went ahead when a cross from the right caused havoc in the Chelsea area as defender Jeffrey Bruma diverted in via the arm of Turnbull. Premier League Champions Chelsea levelled through Daniel Sturridge, who scored with fine strike from range. But then a long ball forward by Ajax keeper Maarten Stekelenburg drew a horrible moment for Turnbull. The former Middlesbrough shot-stopper lost possession of the ball as he slid out of his area to allow Siem De Jong to slot home. Korea's Suk Hyun-jun sealed the victory for Ajax as they claimed a decent win over a young Chelsea team captained by Michael Essien.